It's Time for 2018 Award Nominations! We are accepting nominations for the 2018 Lifetime Achievement Awards and Student Excellence Awards. The awards will be presented at the Fire Continuum Conference, being held May 21-24 in Missoula, Montana. Nominations are due April 15, 2018. Click here for more info or to submit a nomination. 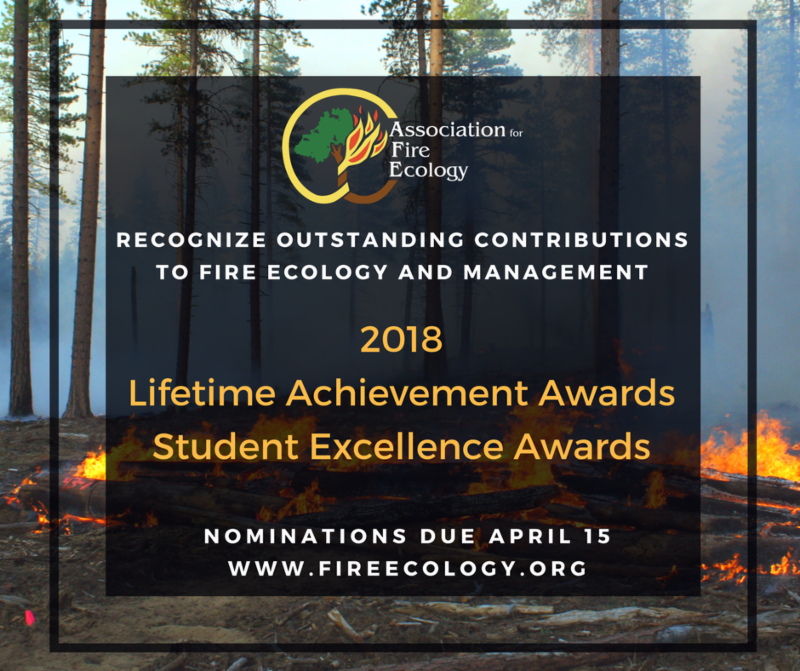 Harold Weaver Undergraduate Student Excellence Award: Named after Harold Weaver (1903–1983), a pioneer in the field of fire ecology and ecosystem management. Any active member of AFE or SAFE can submit a nomination. Not sure if your membership is current? Go to fireecology.org and log-in to view your membership profile. Email office@fireecology.net with questions.